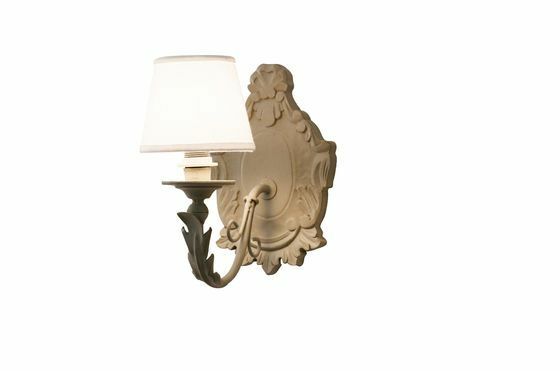 The wall lamp Mistral is a very beautiful and cunning lamp that will surely not leave you cold. 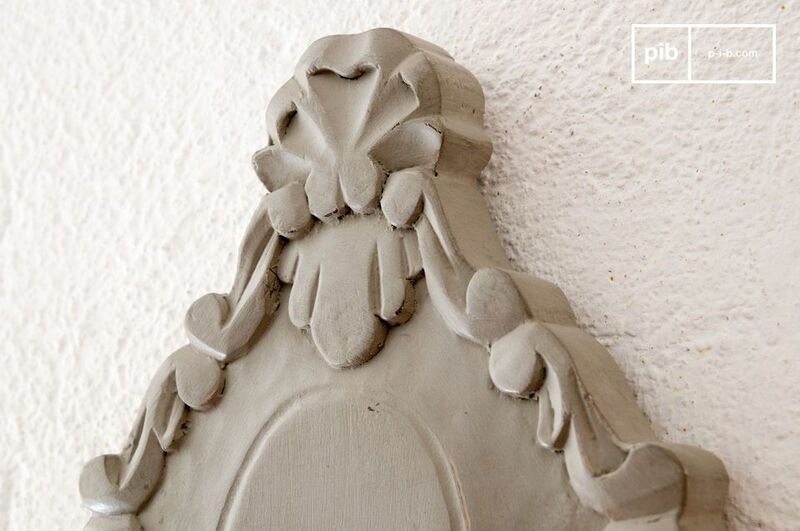 This wall lamp holds a graceful flower decoration, which is wrapped around the frame of grey wood. An arm protrudes from its midst, which is also decorated with flower patterns and which provides the light bulb socket and lampshade on its end. 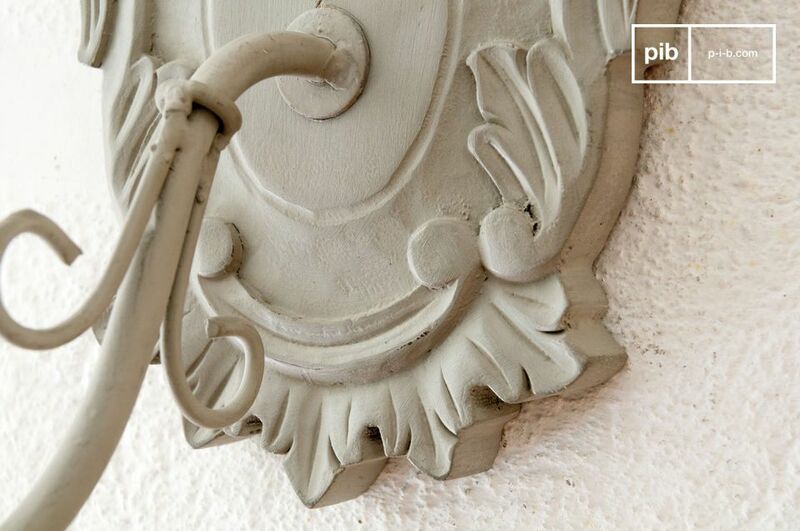 The wall lamp Mistral will add a romantic touch to your shabby chic interior, a touch that refines the overall decor of your home with its beautiful details. This lamp will add an additional light source to your interior, which will radiate extraordinarily thanks to its fine workmanship. The lampshade is sold separately. 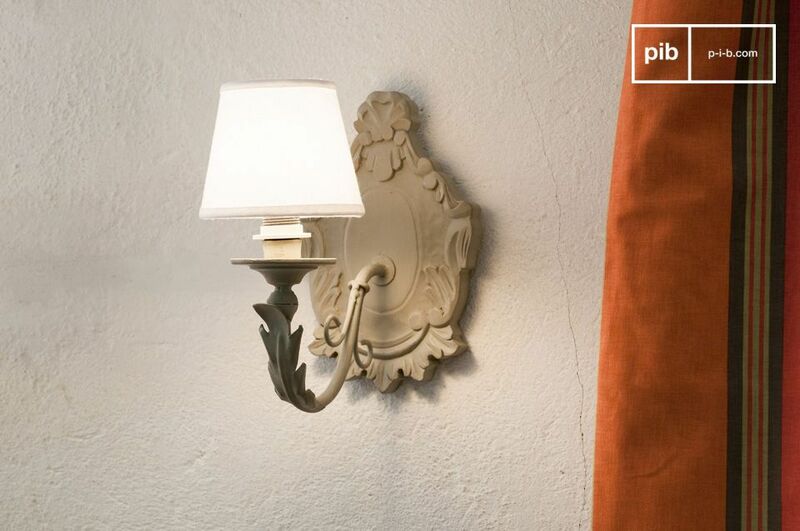 You can also use the wall lamp Mistral without lampshade, for instance, with a heart-shaped light bulb. Works with a lightbulb with E14 screw base and 100 watts at a maximum.